Enjoy the rest of your summer! Start off by heading down to Louisiana to Reflections on the Teche where Margaret is hosting the Round-Up this week. 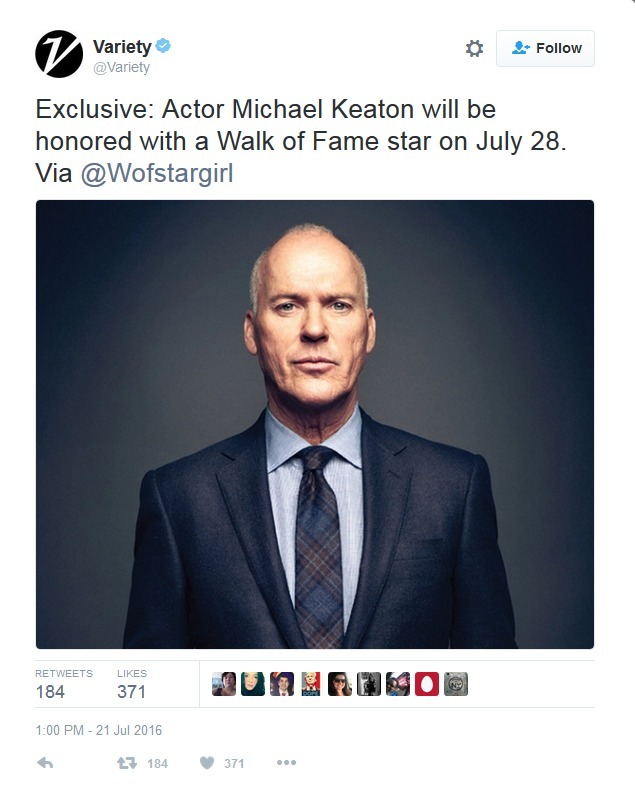 If you're going to be in Hollywood that day, you may be able to see the ceremony. If you're here in Windham, though, you may just want to watch one of his films! We have a baker's dozen in total! Many studies have proven that music programs in schools aid children in other areas of learning. A recent report on NPR about children's brains adds to the list of positive outcomes to having music in a child's life. The late Oliver Sacks published Musicophilia: Tales of Music and the Brain [781.11 SAC, also eBook] back in 2007. The book is a fascinating look at music and all types of brains--young, old, healthy, unhealthy, etc. 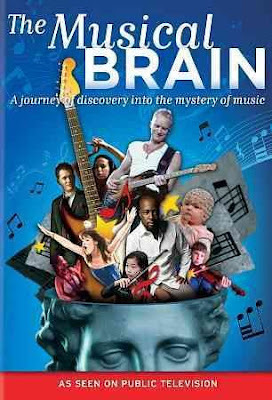 More on music and the brain can be found in the DVD, The Musical Brain: A Journey of Discovery into the Mystery of Music [DVD 781.11 MUS]. Planting a tree is a simple thing--it beautifies its surroundings, cleans the air, provides a home for wildlife, etc. Multiply that act by a million, or 50 million, and it can make a big difference! Smithsonian magazine [MAG SMI, also eBook] has an online site that last week posted this: "India Plants a Record 50 Million Trees in 24 Hours." Wow, just WOW! I'm reminded of the Joni Mitchell song, "Big Yellow Taxi," which is on her Hits album [CD ROCK MIT]. The song is one of regrets, including the pavement of Paradise. Think about planting a tree, and look for one of these at the Library: Trees and Shrubs of New England by Marilyn J. Dwelley [582.74 DWE] or Trees, Shrubs, and Vines for Attracting Birds by Richard M. DeGraaf [639.978 DEG]. Yes, indeed, there's a whole week devoted to a celebration of moths! 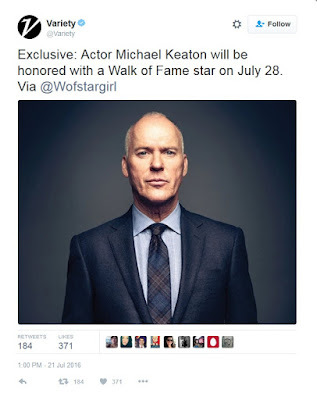 It began on Saturday, July 23, and runs through the 31st. This is the fifth year it is being celebrated. Who knew, right? Read more about National Moth Week here. To identify the moths in your neighborhood look for Butterflies and Moths by David J. Carter [595.78 CAR], or visit Butterflies and Moths of North America. And, if your child is having problems understanding that moths are not butterflies, Moth or Butterfly? by Susan Kralovansky [J 595.78 KRA] will help to explain the differences. It's Ratcatcher's Day! Or, a remembrance of the day, in 1376 (or 1284? ), on which the Pied Piper of Hamelin reportedly lured more than 100 children from their homes in response to the townspeople not wanting to pay for ratcatching services rendered. Bill Watterson drew a daily comic strip that ran from November, 1985 to December, 1995--Calvin and Hobbes. It was one of the most-loved comics of the 20th century. I probably don't need to tell you, but Calvin was a spirited young boy with a powerful imagination, and Hobbes, was his stuffed tiger. Twenty years after the strip ceased publication, Calvin and Hobbes still enjoy fame. You can read a daily reprint of the strips online at GoComics.com or sign up there to get Calvin and Hobbes delivered to you inbox daily. 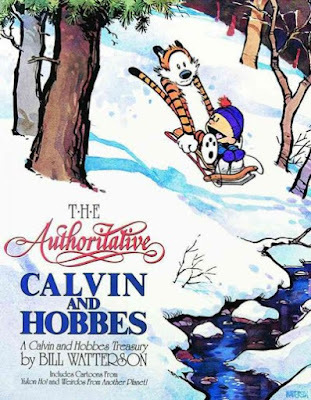 Here at the Library we have a dozen Calvin and Hobbes compilations in our adult and young adult sections including, The Authoritative Calvin and Hobbes: A Calvin and Hobbes Treasury [YA 741.5 WAT] and The Complete Calvin and Hobbes (in three volumes) [741.5 WAT]. Recently I learned of a effort by an artist, Gabriel de Laubier, who is taking the Calvin and Hobbes strips and turning them into 3-D renditions. 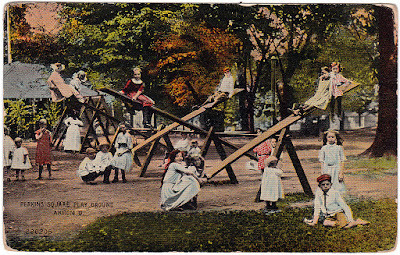 The story behind this effort is fascinating--read about it here. I'm sure you've heard of the term "crowdfunding," which is soliciting monetary assistance, via the internet, to complete a project. Projects range from helping individuals to pay for funeral expenses for a loved one, to providing funding for the completion of a motion picture--and everything in between. Two year's ago, actor, LeVar Burton, solicited funds for a resurrection of the children's literacy program, Reading Rainbow. His stated goal was to raise a million dollars! He made the goal in a short amount of time. Many people who remembered loving Reading Rainbow in their youth were more than willing to support reading endeavors. Crowdsourcing follows a similiar pattern. Assistance is solicited to complete a project. However, the assistance does not come in the form of money, but in the donation of time, knowledge, or skills. Probably the best known crowdsourced project is Wikipedia. A crowdsourcing project closer to home is the transcription of New Hampshire historical documents so that they may be made accessible to the general public online. You can read a short article about this project here. Zooniverse.org is a website that "is the world’s largest and most popular platform for people-powered research." One project from Zooniverse is an ongoing "Decoding the Civil War" project that is looking for volunteers, click here. 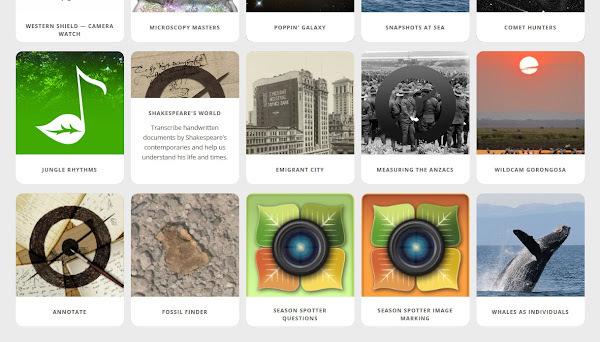 A few of the projects you'll find on Zooniverse. To access another huge listing of crowdsourced projects, click here. I have received email solicitations for information to be used in putting together a public radio report. WMUR in Manchester is always looking for weather event-related, and eyewitness photos. What projects do you know about or have you participated in? 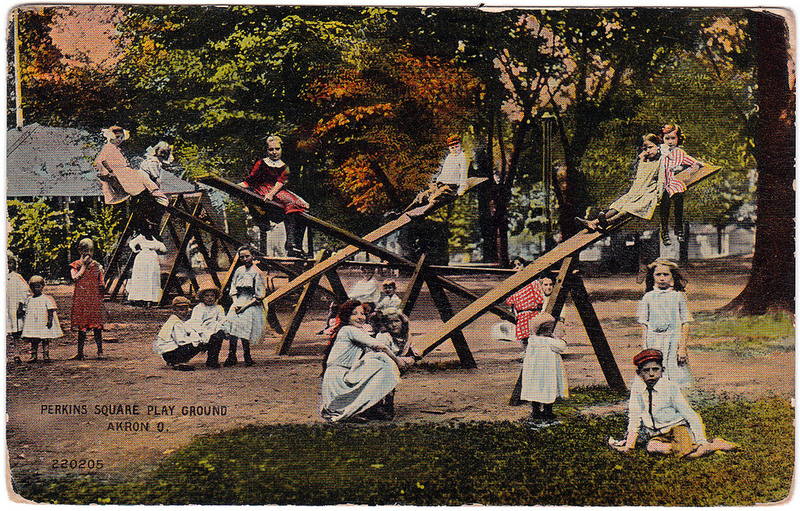 If you're looking for something to do with your free time, crowdsourcing may be for you! The Little Prince by Antoine de Saint-Exupéry [J SAI or YA SAI]. Release date: August 5. Ben-Hur: A Tale of the Christ by Lew Wallace [F WAL]. Release date: August 19. Ninth Life of Louis Drax by Liz Jensen [F JEN]. Release date: September 2. The Light Between Oceans by M. L. Stedman [F STE or AB/CD STE]. Release date: September 2. Miss Peregrine's Home for Peculiar Children by Ransom Riggs [YA RIG or eBook]. Release date: September 30. A Monster Calls by Patrick Ness [YA NES]. Release date: October 21. Inferno by Dan Brown [F BRO, AB/CD BRO, and eBook formats]. Release date: October 28. 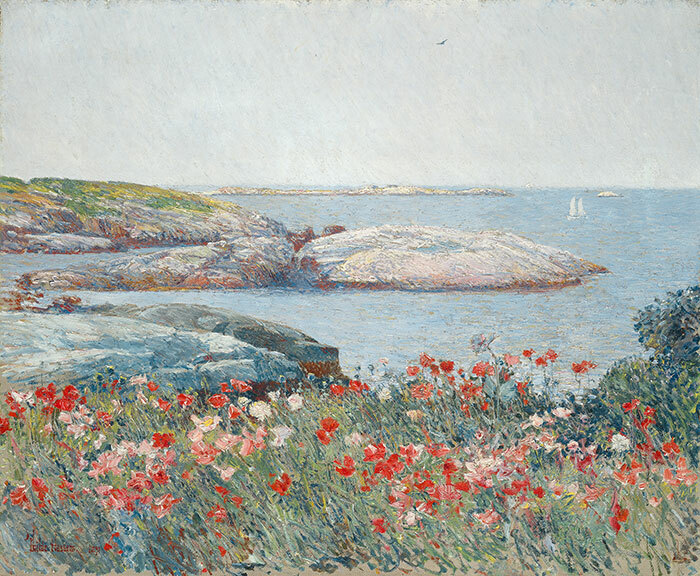 On Saturday I heard a segment on WBUR about research at the Isles of Shoals which involves studying the impressionist paintings of Childe Hassam (1859-1935). Hassam was born in Boston and spent a significant amount of time in New Hampshire in the Portsmouth area. He was a frequent guest of poet Celia Thaxter on the Isles of Shoals and his paintings of her garden are gorgeous! Courtesy Peabody Essex Museum, "American Impressionist: Childe Hassam and the Isles of Shoals," On view July 16, 2016 to November 6, 2016. You can read of Celia's impressions of gardening on the Isle of Shoals in An Island Garden, which is illustrated by Childe Hassam. We also have a weighty volume of Hassam's works in Childe Hassam, American Impressionist by H. Barbara Weinberg [635.9 THA]. To view a collection of his work online, click here. 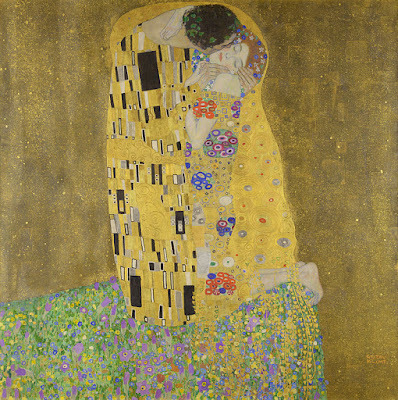 "The Kiss" is probably the most famous, and most reproduced, of Klimt's paintings. "The "Portrait of Adele Bloch-Bauer I" is perhaps the most written about and was the subject of a book by Anne Marie O'Connor, The Lady in Gold: The Extraordinary Tale of Gustav Klimt's Masterpiece, Portrait of Adele Bloch-Bauer [759.36 OCO, also AB/CD 759.36 OCO]. Much of the "extraordinary tale" has to do with the legal actions taken against Austria for the return of the portrait, which was seized by the Nazis in World War II. 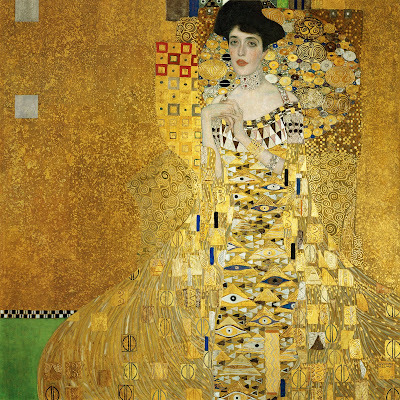 Adele Bloch-Bauer's niece, Maria Altmann, won the suit and the painting was returned to her. It was then sold for a record $135 million. The portrait remains on permanent display at the Neue Galerie in New York. A documentary, Adele's Wish [DVD 940.53 ADE], outlines the painting's history. The Woman in Gold [DVD WOM] is a fictionalized filmed version of the story starring Helen Mirren as Maria Altmann. 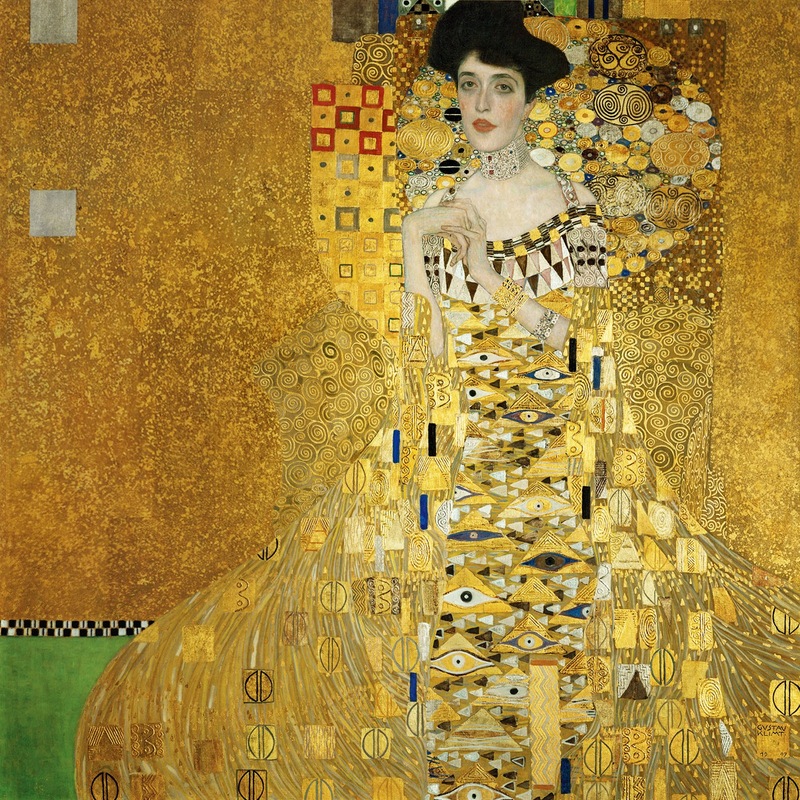 Maria Altmann's lawyer, Randol Schoenberg, has many YouTube videos posted if you'd like to learn more about Klimt's painting and its legal history. Yesterday, we discussed great baseball movies, but today's movies are documentary or instructional videos. The king of baseball documentaries is Ken Burns' multi-disk Baseball: 1840s-2010 [DVD 796.357 BAS]. 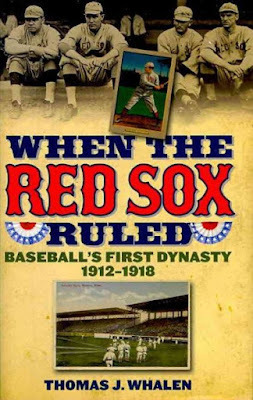 If you're reading this, you're probably old enough to remember the Curse of the Bambino [796.357 CUR], and the gratifying Red Sox World Series year, 2004, which was "Eighty-six years in the making," Faith Revealed: The Historic Season of the 2004 Boston Red Sox [DVD 796.357 FAI]. Once the curse was put to rest, the Red Sox were reborn, and in 2013 the team was The Band of Bearded Brothers: The 2013 World Champion Red Sox [DVD 357 BAN]. The career of Red Sox pitcher, Bill Lee, is found in Spaceman: A Baseball Odyssey [DVD 796.357 SPA]. How-to instruction for up and coming young players (Little League) is provided by Play ball! [DVD 796.357 PLA]. Today's link, "The greatest baseball movie of all time (and you’ve probably never seen it)," was recently found on Facebook, but it originally appeared in 2010. It is timeless, in that it references a baseball movie, and movies are almost always available to borrow from a public library or to view online. The movie the writer touts as being the "greatest baseball movie," is a film from 1951 and stars...wait for it...a cat! The title is "Rhubarb," and is the writer correct? Is it something you've heard of? You really need to read the article! 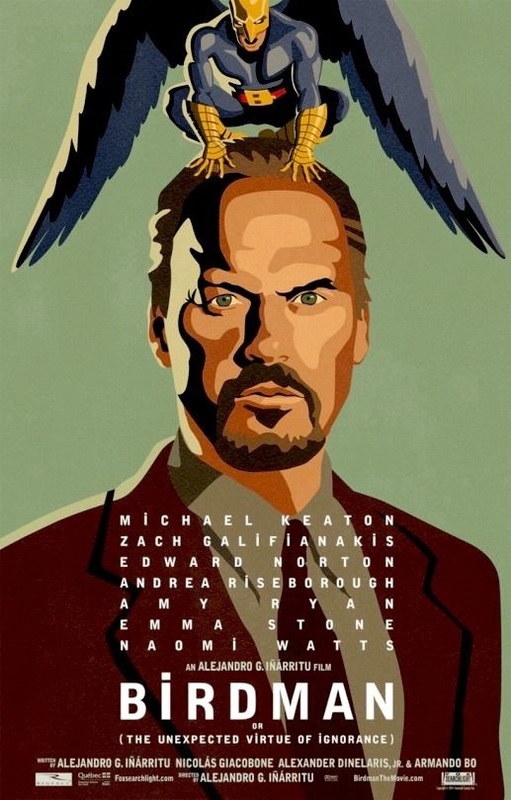 We don't own the film, nor do any of the other GMILCS consortium libraries, but I will attempt to purchase a copy. If, after reading the article you have to view the film, then know you can purchase it online. The beginning of America's independence from Great Britain was not a moment of universal freedom for many in the country. Here's a poem that looks at independence from another point of view. my Cherokee dad could not prove he’d been born. by a Caucasian attacker’s knife. Time to visit Katie at The Logonauts for today's Poetry Friday Round-Up. Yikes! I hope the magic is still there! In any case, we will be receiving our copies of the new title (the Library had to sign statements swearing us to secrecy in order to receive the book in time for its release). 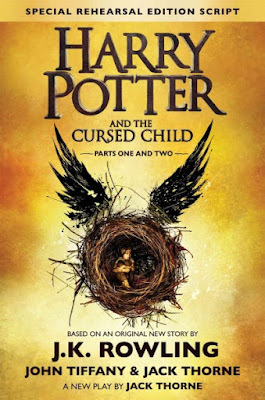 Please be aware that this new book is not a 500+ page novel full of intricate detail, but, if you have an active imagination and you've read the Harry Potter series, you can fill in the details for yourself! If you haven't read the earlier titles, you best get started! To that end, the GMILCS consortium, of which we are a member, has recently purchase eAudios of the series titles. We'll undoubtedly be ordering the eAudio and eBook formats, too, of Harry Potter and the Cursed Child once they become available. If you're interested in learning more of your family history, you could come to the Library and borrow one of our genealogy how-to books such as How to Do Everything: Genealogy by George G. Morgan [929.1 MOR], or, you could take a class. I recently read about a free online class, "Genealogy: Researching Your Family Tree," being offered by the University of Strathclyde (located in Glasgow, Scotland, but you need only travel as far as your computer or device). In case you're wondering about how much prior knowledge you need, let me quote from the website, "No special knowledge or previous experience of studying is required." The course begins on July 18, so don't think too long! 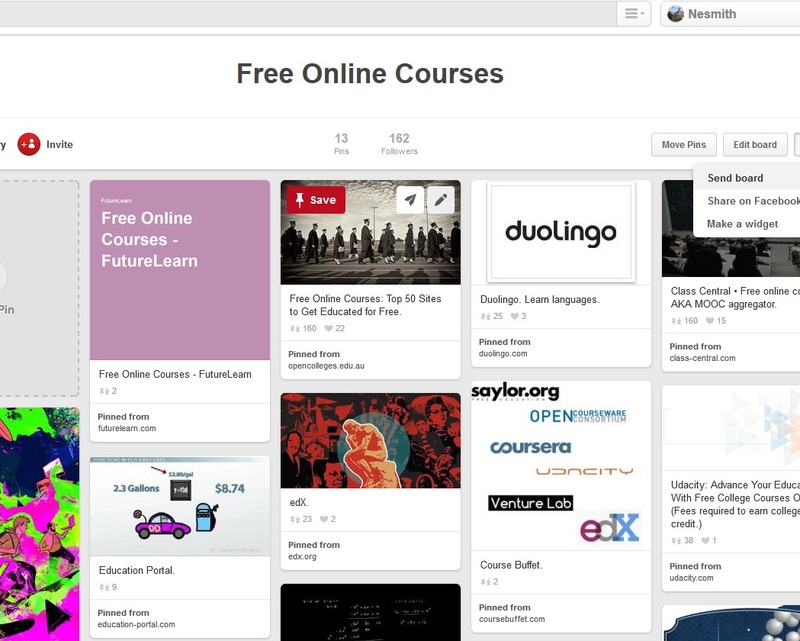 Free on-line classes start daily at universities around the world. If genealogy doesn't interest you, then there are dozens more courses, one of which is sure to appeal to you. Check out our Pinterest board titled "Free Online Courses," to browse some of the offerings. July is a busy month. Here at the Library we're going full speed ahead with our summer reading programs for children, teens, and adults. There's the Independence Day holiday, more popularly known as the 4th of July, for us to celebrate. 51% of Americans who are taking vacations this summer are taking them in July. And, the month of July has been designated as National Grilling Month, National Hot Dog Month, and National Ice Cream Month. It is also National Baked Bean Month and National Pickle Month. Poor French Fries—they get a single day—July 13th is National French Fry Day. 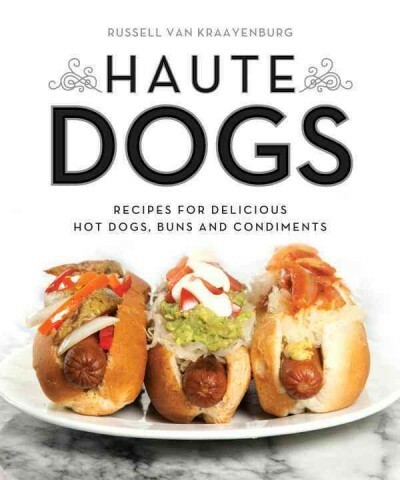 The only summer foods that are missing from the celebrations are National Hamburger Month and National Barbecue Month! They do get celebrated, but it happened in May! You can enjoy all these summer food goodies during National Picnic Month which also happens in July. And don't forget that July is National Park and Recreation Month, too! And, if you want to spice up your burgers, you'll be happy to know it's National Horseradish Month! 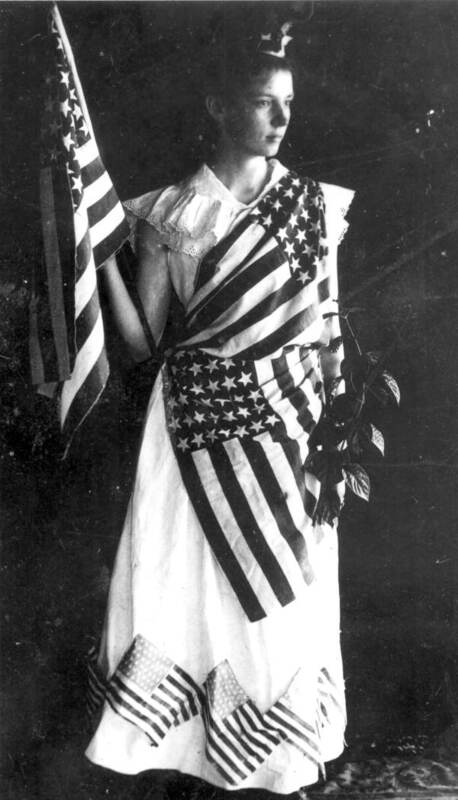 The Library is closed today for the Independence Day holiday. We will reopen tomorrow at 9:00 am. Until then, if you find yourself without a book to read or listen to, Cloud Library eBooks and eAudios are available 24/7. All you need is a device and an up-to-date Nesmith Library card. Want to see what Cloud Library eBooks are available right now, click here. No, Walt Whitman wasn't America's first "Dear Abby," but within his work you'll find some good advice as is summarized in "7 Things Walt Whitman Said Everyone MUST Do To Live A Vibrant, Rewarding Life." You'll notice that this doesn't say, "7 Things Everyone Must Do to be a Success." Whitman's advice is simple and straight forward: be kind, be true, and don't care about amassing personal wealth. If you prefer to ferret out the advice yourself, we have Whitman's work in Complete Poetry and Collected Prose [811.3 WHI]. 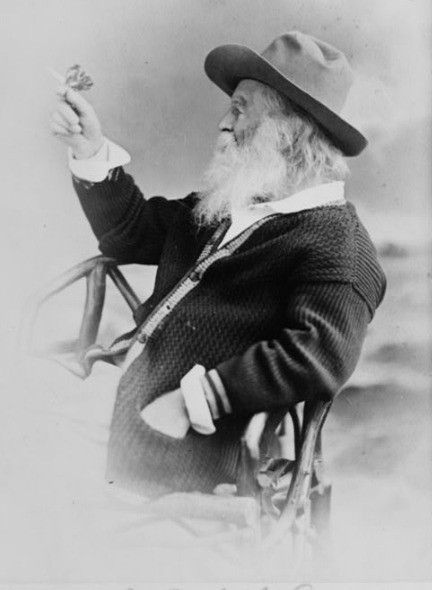 To discover more about the man, view the PBS "American Experience" episode, Walt Whitman [DVD B WHI] or read any of the numerous biographies we have in our adult and children's collections [B WHI or J B WHI]. Tabatha Yeatts: The Opposite of Indifference will be hosting this week's Poetry Friday Round-Up, stop by before you head off for the beach!